Does South Brent and the surrounding areas hold a very special place in your heart? Have you experienced a kindness you will never forget through meeting someone who has made life a bit better, richer, easier or more enjoyable? Then you too can do something very generous which will ensure the communities living in and around South Brent will experience the same feelings about their lives here. Help comes in many forms. Our befrienders visit people on a one-to-one basis to increase confidence and reduce isolation. Our Lunch Clubs and Activity Coffee Mornings help alleviate loneliness and bring people together who like company and activity. Our drivers take people to health appointments; often staying with them and helping them through a challenging time. Our volunteers help with organising paperwork, complicated forms and help with reading when eyesight fails. Our drop-in service means that there is someone in office to talk through problems. But we cannot do all of the wonderful things we do without continued funding to keep the coordinator and the office manager in place; the office, phones, printing and postage paid for; the volunteers checked and trained or the clients’ needs catered for. It takes in excess of £25,000 each year to stay as we are even if we didn’t want to improve our services; and we do. Can you help us? Small kindnesses make big differences to the people we support. 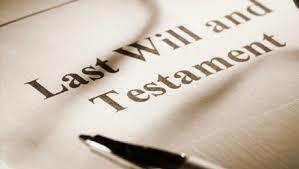 If you haven’t yet made a will, we keep some leaflets in the SBADC office to give you some advice on the ‘How to’ but we cannot do it for you if you want to leave us a legacy. You do need to know some details about us however, and that is that the charity’s name is South Brent & District Caring. Our charity registration number is 1150875 and our registered office is The Old School Community Centre, Totnes Road, South Brent, TQ10 9BP (Telephone No. 01364 700282). We are open on Tuesdays and Thursdays between 10am and 12pm for drop-in visits. If you would like further information and want to speak to a member of the SBADC team, please visit our office or call us for more information.